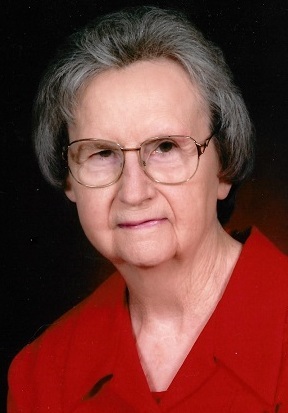 Decatur ~ Sarah Geneva Hudson, 95, a homemaker went to be with our Lord Monday, November 5, 2018, in Decatur. Funeral is 2:00 p.m. Saturday, November 10, 2018, at Immanuel Baptist Church with burial in Paradise Cemetery. Family will receive friends 6-8 p.m. Friday at Hawkins Funeral Home in Decatur. Louis Horton, Brad Horton and Zach Burns will officiate. Pallbearers include Tyson Buck, Garrett Hudson, Shawn Hudson, Wyatt Hudson, Stockton Portales, Breton Tribble, and Brian Tribble. Geneva was born on May 7, 1923, to John D. “Dude” and Irene (Pike) Read in Paradise, Texas. She was united in marriage to Royce Cecil Hudson on December 13, 1941, in Decatur. Geneva was a member of Immanuel Baptist Church in Decatur. She was preceded in death by her parents; her husband; her brothers, J.D., Earnest, Harold, Leon and Marvin Read; her sisters, Lorene Read, Pauline Carlton, Peggy Calvert. Those left behind to cherish her memory are her son, Jimmie Hudson of Decatur; her daughter, Linda McNair and husband C.H. “Mac” of Hurst; her son, Dennis Hudson and wife Laura of Decatur; her son Gary Hudson and wife Darlene of Keller; her daughter, Joyce Horton and husband Louis of Decatur; 12 grandchildren; 28 great grandchildren; 3 great-great grandchildren; her brother, Billy Gene Read and wife Bobbie of Paradise; her sister, Patsy McClure and husband David of Mesquite; numerous nieces, nephews, cousins, additional family members and a host of friends. Memorials may be made to Immanuel Baptist Church Mission Funds or Bus Ministry, 106 South Lane, Decatur, Texas 76234.